Your brand is sure to catch their eye! Setting up your table and ensuring eye-catching results is easy! 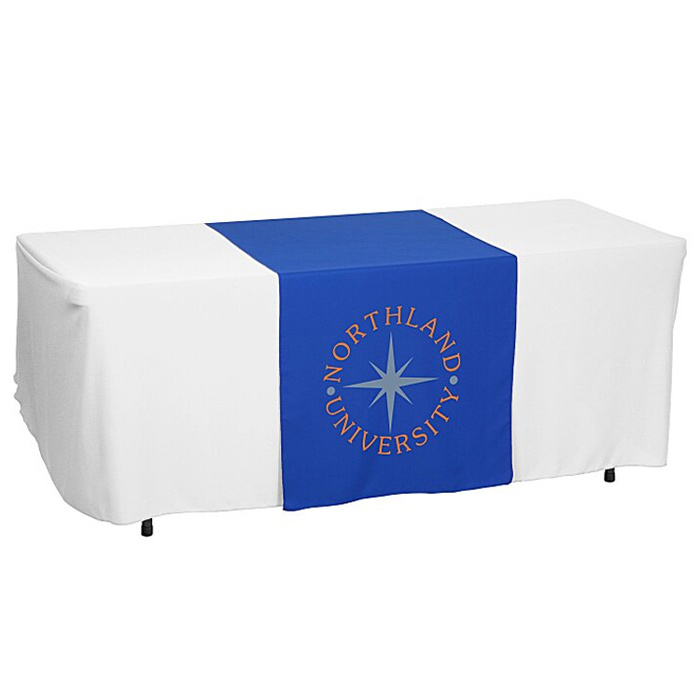 These 28" table runners can be draped over any table throw so you can add your logo or design with style. Available in a wide range of colours to make your brand stand out at your next event. Made from flame retardant treated polyester poplin fabric suitable for exhibition halls. We also offer alternative sizes and printing options. Price includes a full colour print to the front of the table runner. Print area: 609 x 431mm.